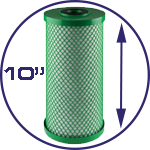 THE BEST WATER FILTER, BUT WHAT TO BUY? 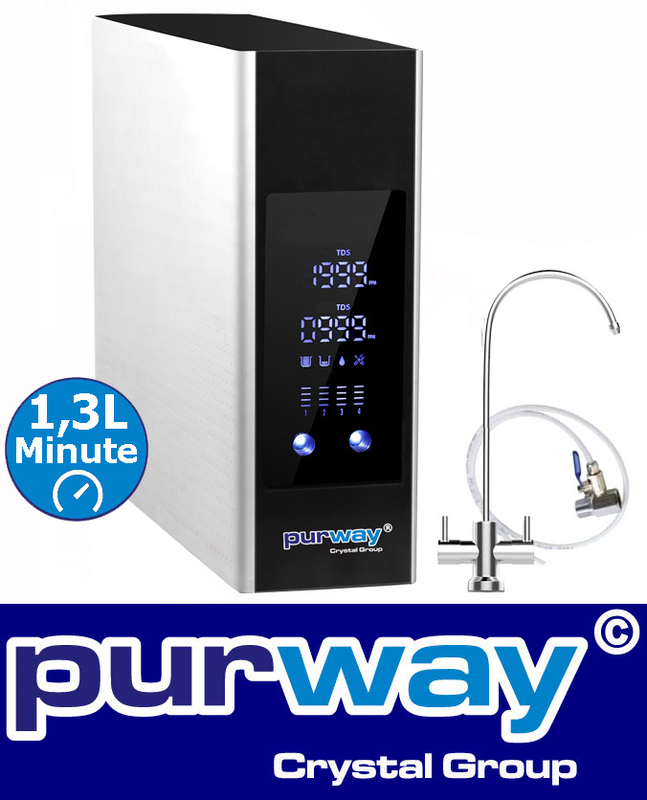 The generally high standard of drinking water quality in Germany is very good. 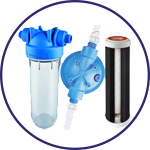 However, it happens again and again that viruses, bacteria, drug residues, hormones, or even legionella in the waterline are found in investigations. 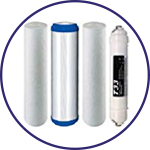 Many drinking water filters can filter these pollutants out of the water by the right combination. 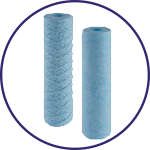 Use "water filter sensible"! 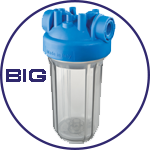 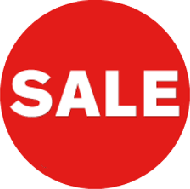 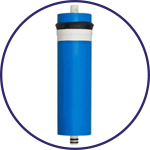 "The best drinking water filter for every problem" is to find us cheap. 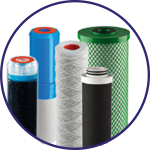 We can guarantee you a favorable solution and high quality. 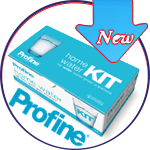 "Which drinking water filter is the right one?" 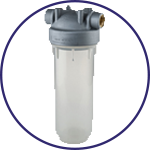 It is also important to install the water filter correctly, regardless of whether the water pipe is horizontal or vertical. 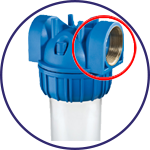 The water filter is installed between two shut-off valves directly in the water flow direction, behind the water meter. 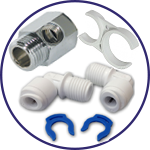 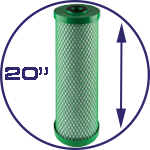 "Tips for installing water filters." 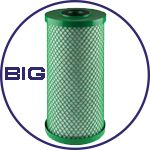 You only need filter cartridges with three highly concentrated filtration media, these reduce the iron concentration, the iron content, the hydrogen sulfide content, the metallic taste / smell of the drinking water. 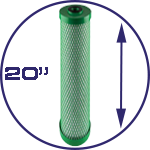 This helps to normalize the pH at smaller water flow rates. 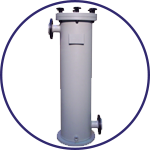 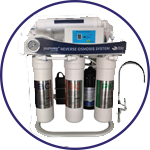 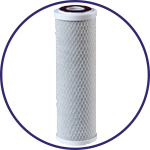 Larger systems such as de-ironing filters and manganese filters serve as oxide filters, in this series they are used to remove iron and manganese. 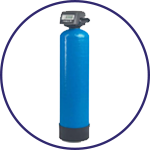 With very high iron content and increased water flow, these larger systems should be used. 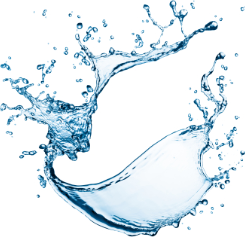 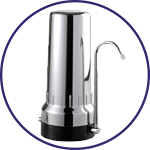 "Which iron water filter is the best?" 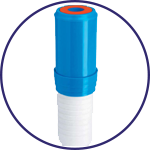 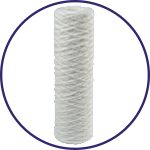 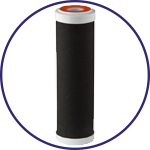 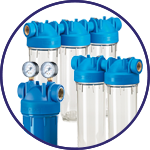 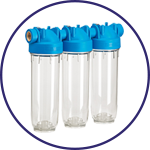 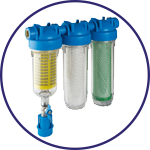 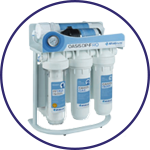 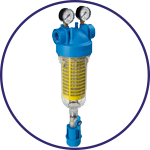 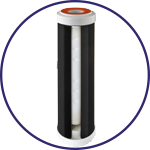 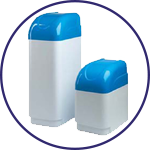 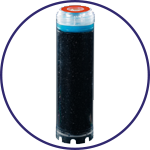 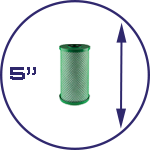 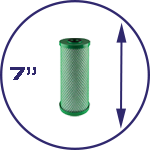 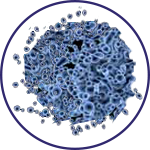 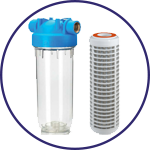 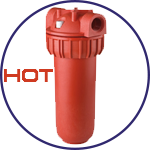 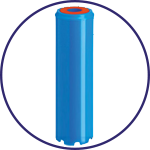 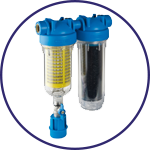 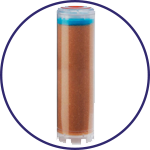 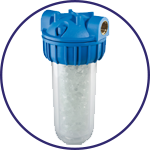 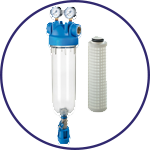 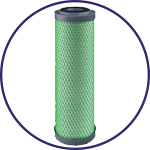 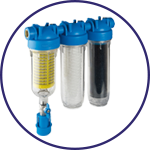 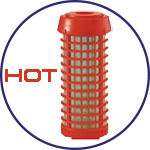 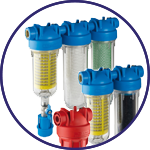 Lime filtering solutions, a filter cartridge containing highly cationic resin (resin), help limescale reduction. 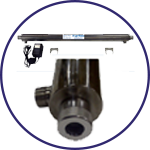 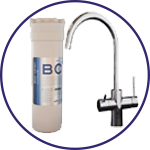 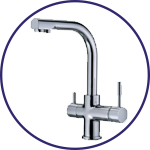 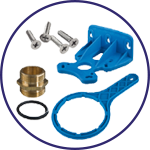 The lifetime of the limescale filters depends heavily on the degree of water hardness and the water flow rate in liters / hour to reduce the calcium content in drinking water. 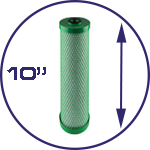 Only by installing a soft water system or the water softener is lime removed, even at very high flow rates. 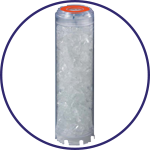 Through our proven and approved process, the hardness factors calcium and magnesium are replaced by harmless sodium. 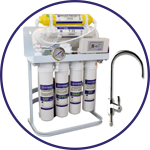 "How does the soft water system work?"